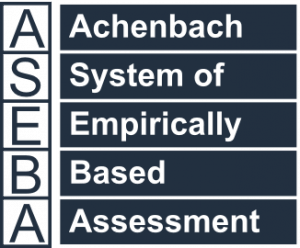 To revise the ASEBA DSM-oriented scales for DSM-5 criteria, experts from 30 societies identified ASEBA items that are very consistent with DSM-5 criteria for behavioral, emotional, social, or thought problems differing from those of DSM-IV. For ages 1½-5, the new Autism Spectrum Problems scale comprises items identified by the experts as being very consistent with DSM-5 criteria for Autism Spectrum Disorder. For ages 6-18 and 18-59, the revised Anxiety Problems scale comprises age-appropriate items identified by the experts as being very consistent with DSM-5 criteria for Generalized Anxiety Disorder, Separation Anxiety Disorder, Social Anxiety Disorder, and Specific Phobia. And for ages 6-18 and 18-59, the revised Somatic Problems scale comprises age-appropriate items identified by the experts as being very consistent with DSM-5 criteria for Somatic Symptom Disorder. ASEBA forms are also scored on the following DSM-oriented scales for which the relevant criteria did not change from DSM-IV to DSM-5: Depressive Problems, Attention Deficit Hyperactivity Problems, Oppositional Defiant Problems, Conduct Problems, Avoidant Personality Problems, and Antisocial Personality Problems. DSM Guide for the ASEBA. The Guide explains details of the DSM-oriented scales. It also documents the research basis for the scales and lists the experts who participated in The DSM-5 Project. To aid practitioners, researchers, and trainees, the Guide illustrates applications of the DSM-oriented scales in various contexts.